The Agence Française de Développement (AFD) hosted a session at the Cities & Regions Pavilion – TAP2015 at COP21 on Monday, 7 December. Entitled “How can development banks and local financial institutions promote climate finance for local authorities?” the session allowed a high-level international panel to discuss their experiences and to assess what has worked in terms of delivering climate finance at the local level, and what needs to be improved to further enable local climate action. Nick Harrison at the Cities & Regions Pavilion. 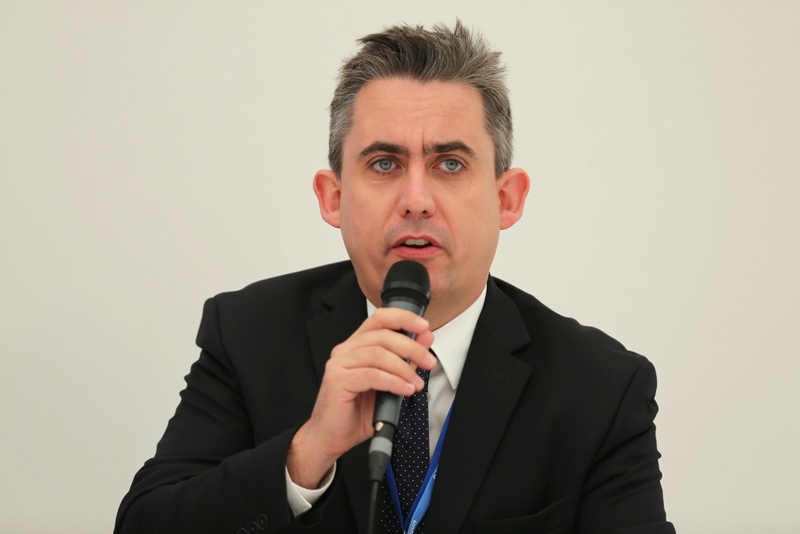 Nick Harrison of the Cities Climate Finance Leadership Alliance (CCFLA) presented the CCFLA’s new report, The State of City Climate Finance 2015, launched in Paris City Hall by UN Secretary-General Ban Ki-moon on 4 December 2015. The report was based on the premise that there is a high and unmet demand for climate finance at the local level. Barriers to the supply of funding, Harrison explained, include uncertainty over regulatory tax policy in cities, the difficulty of incorporating resilience and mitigation into city infrastructure planning, a lack of skills for integration, insufficient control over planning in cities, high transaction costs, and a lack of proven funding models at city level. According to the CCFLA’s report, to overcome the barriers it will be necessary to engage with national governments for stronger enabling environments; to support cities in developing frameworks for carbon taxes or other pricing mechanisms; to develop more well-packaged projects at the city level; and to collaborate with local banks to provide finance, as these banks understand the context of the subnational fiscal environment. In a series of presentations, panellists responded to the report from a range of perspectives. Anne Odic of AFD highlighted how AFD has supported urban projects with climate co-benefits in over 70 territories since 2005, and has committed nearly USD 6 billion for this type of projects since 2010. Odic agreed that capacity building is essential and added that “financing for project preparation is lacking.” AFD is therefore planning to accompany 100 cities worldwide to prepare and implement low carbon and climate-resilient urban projects. Martha Castillo presented CAF’s “Cities with a Future” program, which has four components: inclusive urban development, political and institutional transformation, institutional training for city security, and environmental sustainability. She stated that CAF worked on a multi-sectoral approach, with a view to transforming cities. However, this was challenging as it represented a completely new approach in Latin America, where 80% of the population lives in cities. Mohale Rakgate at the Cities & Regions Pavilion. 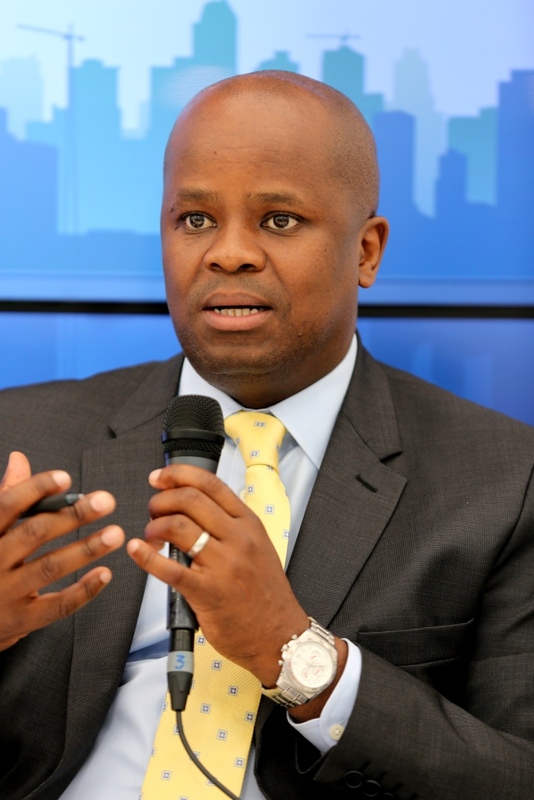 Mohale Rakgate highlighted a range of projects being supported by the Development Bank of South Africa (DBSA), including Bus Rapid Transit (BRT) and water infrastructure projects. The DBSA also manages the Green Fund on behalf of the South African government, offering a window for financing green towns and cities. So far three projects are underway, including the development of climate friendly, affordable housing in partnership with a major South African bank. Rogerio Sobreira of the Minas Gerais Development Bank (BDMG) explained how the structure of Brazilian governments made it very challenging for local governments to access climate finance. Credit would only be advanced once the project was being implemented, making it difficult for cities to develop projects with security. The line of credit offered by AFD was important in this regard, as it allowed the BDMG to finance the development of capacity. In the final presentation, Michael Rama, Mayor of Cebu City, Philippines made a strong argument for directing financing to the local level, stating: “Credit is good, but we need it to go to the bottom”. When funding is delivered to national governments, he explained, it often fails to reach the local level. Moreover, when these local authorities are not involved, their priorities are not communicated. Rama argued that a new model is needed, in which funding agencies talk directly to local authorities, who then involve the national governments. Following the presentations, panellists agreed on the importance of local autonomy. As one audience member put it, “everyone talks about non-state actors, but the financial support mechanisms are still top down”. However, panellists also pointed out that it was not possible to circumvent the demands of national governments. Odic commented that in these situations, the important thing is to get in touch with cities themselves in addition to the work done with national governments. She concluded that even when only top-down mechanisms are available, the aim must be to scale up local climate finance. A tool for this, Harrison commented, are platforms developed by local government networks, which allow financing bodies to work with large numbers of cities in a centralized way. This session showed how local climate finance is becoming increasingly important. Financial institutions are aware that cities will require large amounts of funding as they continue to grow, and this funding must contribute to sustainability efforts. There are several barriers to the delivery of climate finance, however, including government structures and a lack of capacity. Organizations are continuing to address these, and are optimistic about the future.